Widowed Fire Investigator, Aidan McLeod is determined never to fall in love again. Serving his family and community is enough. School counselor and graphologist, Morgan Daryl inherited her Grandmother’s farm. Ready for a fresh start, she leaves a tragic past behind to move to Justice, Missouri. An explosive fire at Morgan’s school triggers a series of escalating fires throughout town. At each fire, the arsonist leaves a note. Can Morgan’s graphology training help? As Aidan works to catch the arsonist, he struggles against a growing attraction to Morgan. Can Aidan learn to trust Morgan with the investigation and his heart? 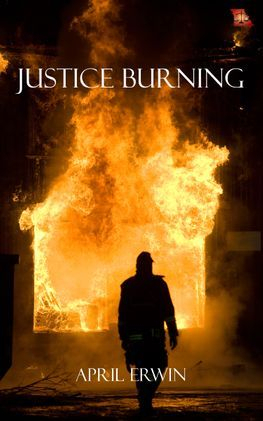 Aidan will have to decide soon, because Justice is burning and it’s up to Aidan to stop it before someone ends up dead. Justice, Missouri's newest resident, Trix Adler, can't wait to go home for Christmas. When the blizzard of the century closes the Maine airport only days before, Trix is faced with a very bleak Christmas. Firefighter Cam Krieger transferred to the Justice Fire Department a year ago to make a fresh start after his ex-girlfriend broke his heart and destroyed his Christmas spirit. He loves his job, but the holiday festivities are making life difficult. When mutual friend Kindall McLeod arranges for Trix and Cam to spend the week before Christmas volunteering for charities, they find that this Christmas could go from miserable to Merry. Keegan McLeod is finally ready to pop the question to longtime girlfriend Emily Jansen, but they have to survive the day first! Love conquers chemical spills, heart attacks and mass hysteria in this latest Heroes in Justice story. Carl Reid finds an abandoned baby on his doorstep. Whose is it, and why leave the baby with him? It’s been thirteen years since Alison Beckett last saw Carl, but he’s the only one she trusts to keep her baby safe. With danger around every corner, Alison and Carl race against time to bring a criminal to justice. Justice Redeemed 117 piece jigsaw puzzle. 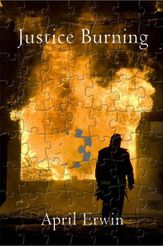 "Make no mistake about it, "Justice Burning," is unlike most other romances you'll find on the market today. 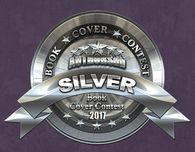 While this story is a bonafide genre romance (with the kind of ending that delights romance fans), it reads like the most captivating action/mystery/adventures.